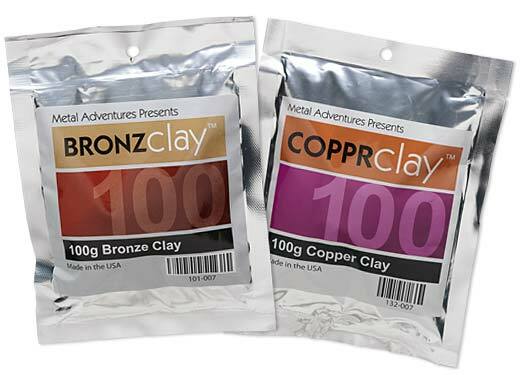 Open a package of either BRONZclay or COPPRclay. 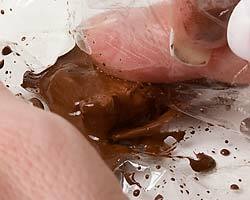 Break off a piece and place it into a piece of plastic cling wrap. Apply a bit of olive oil and some water. 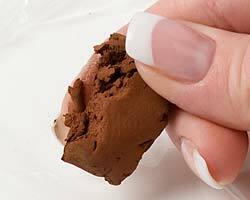 Begin pressing the clay so there is more surface area available to absorb the water. The oil will work as a resist to help keep things from sticking. The clay and water will be like mixing butter and water at first, but keep working, pressing the clay and keeping it in place. 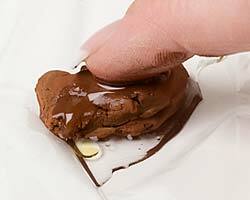 Once the water is incorporated, begin kneading the clay, keeping the cling wrap between your hands and the clay. 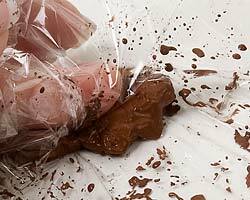 You will notice the clay begin to move more easily and stick less and less to the cling wrap. If that isn't the case, apply a little more oil and continue kneading. 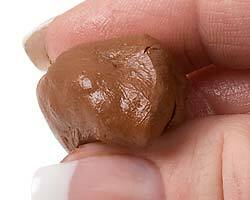 Once the water is fully incorporated, the clay will have a nice sheen to it and have a very smooth consistency. At this stage, the clay is ready to be used in your project.